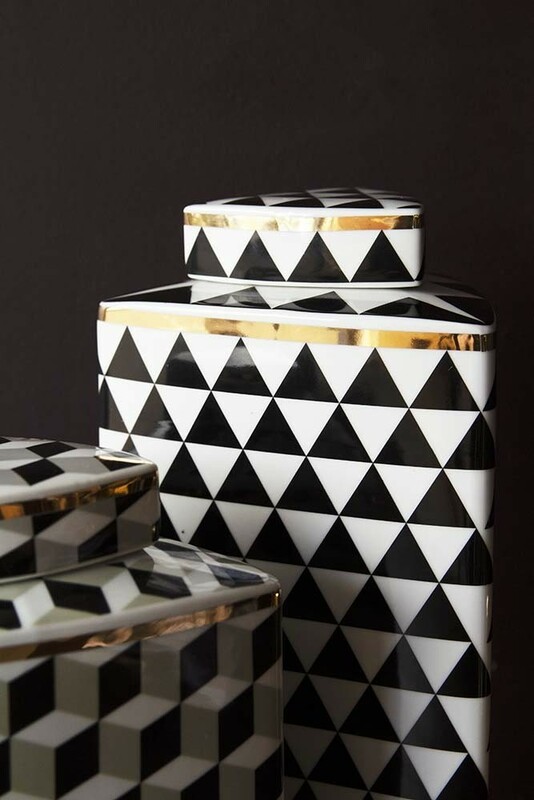 A sophisticated storage solution for the modern home, the geometric storage jar is made from 100% Porcelain with a glazed monochrome finish and gold trim detailing. 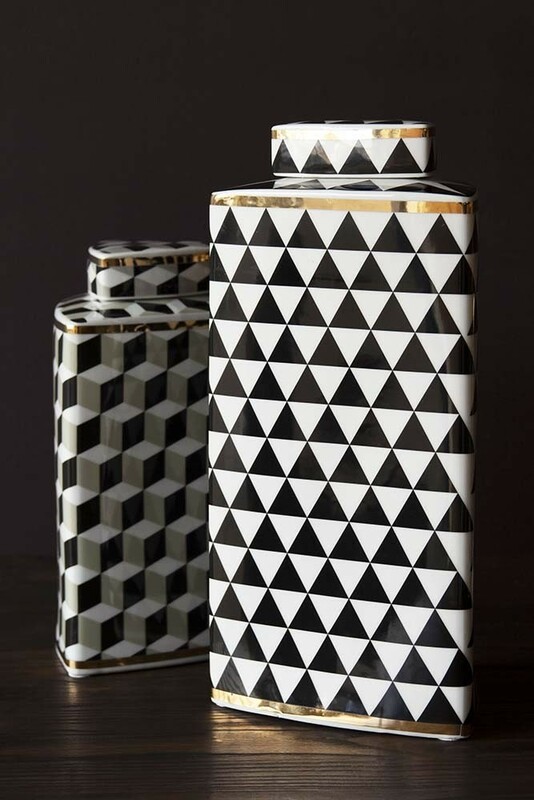 Measuring height 34cm x width 16cm, the tall storage jar can be paired with the matching Geometric Storage Jar in the Short size to create a set. Both designs are provided with a porcelain lid that can be removed making it a multi-functional display piece in kitchen or living spaces. 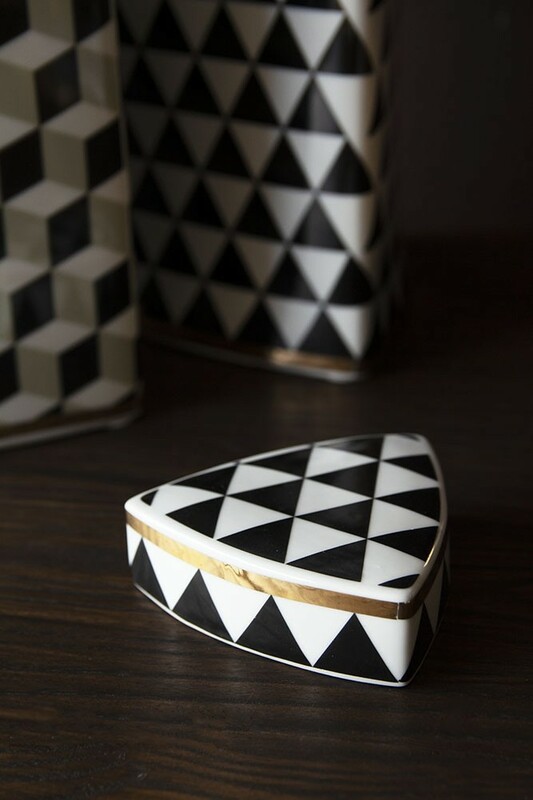 Adding extra flair to monochrome palettes with hints of glamorous gold, the geometric jar introduces storage worth getting excited about! 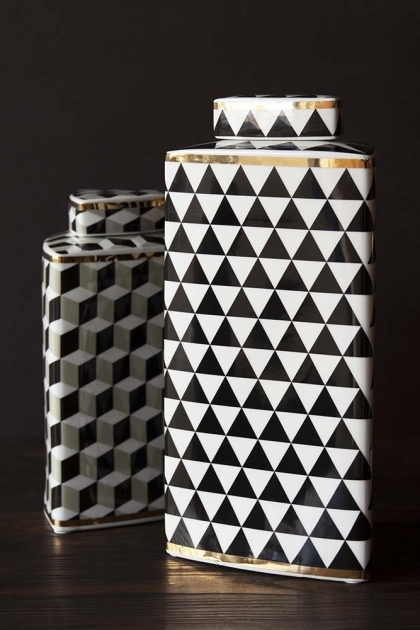 With a mesmerising pattern created from black and white triangles, the tall geometric storage jar provides a nod to timeless geometric trends and promises to transform simple storage into a fabulous, modern feature in your home. 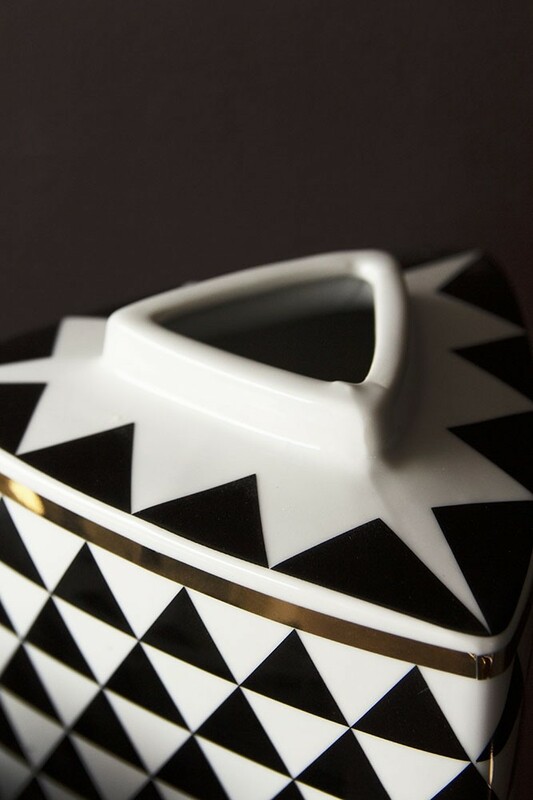 The perfect addition to any pantry, the Geometric Monochrome Storage Jar provides a stylish solution for storing your food and makes an effortlessly cool statement on open kitchen shelves. 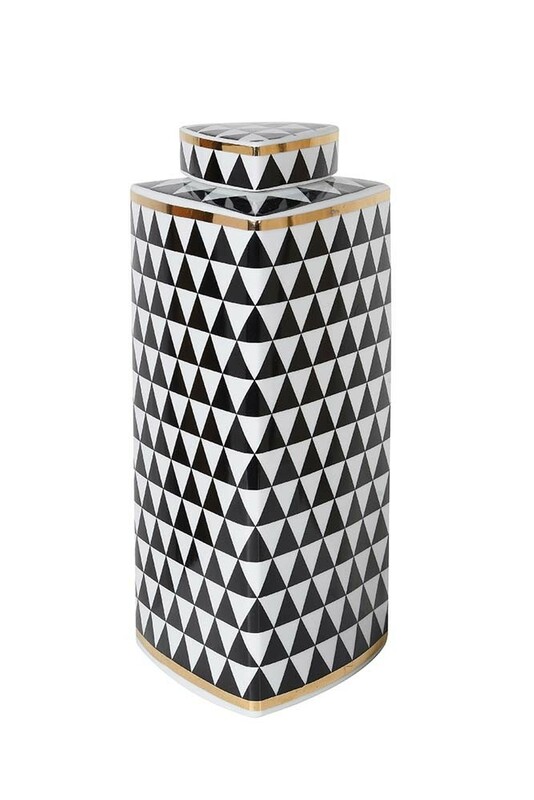 Ideal as a kitchen jar or for handy extra storage in living spaces, the hallway and bathroom, the Tall Geometric Monochrome Storage Jar with Gold Detail can be used to keep trinkets safe or create a stylish vase for fresh flowers.